You are here: Peninei Halakha > Shabbat > 03 - Shabbat Times > 05. May One Pray Minĥa after Accepting Shabbat? 05. May One Pray Minĥa after Accepting Shabbat? There are shuls where the weekday Minĥa on Friday is finished after shki’a, so that if the participants wait to accept Shabbat until after Minĥa, Shabbat in fact has already begun, and they are unable to fulfill the mitzva of tosefet Shabbat. Thus the question arises: may one accept Shabbat but then pray the weekday Minĥa? According to some authorities, one who has accepted Shabbat may no longer pray the weekday Minĥa, because one may not pray a weekday Minĥa after Shabbat has begun (and one may not pray Shabbat Minĥa, because that is to be said only on Saturday). Therefore, in their opinion, one who mistakenly accepted Shabbat before praying Minĥa has lost the opportunity to pray Minĥa, and during Ma’ariv he should pray the Amida twice. The first time serves as the regular Ma’ariv of Shabbat and the second time is to compensate for the Minĥa that he missed (SA 263:15; MB ad loc. 60). 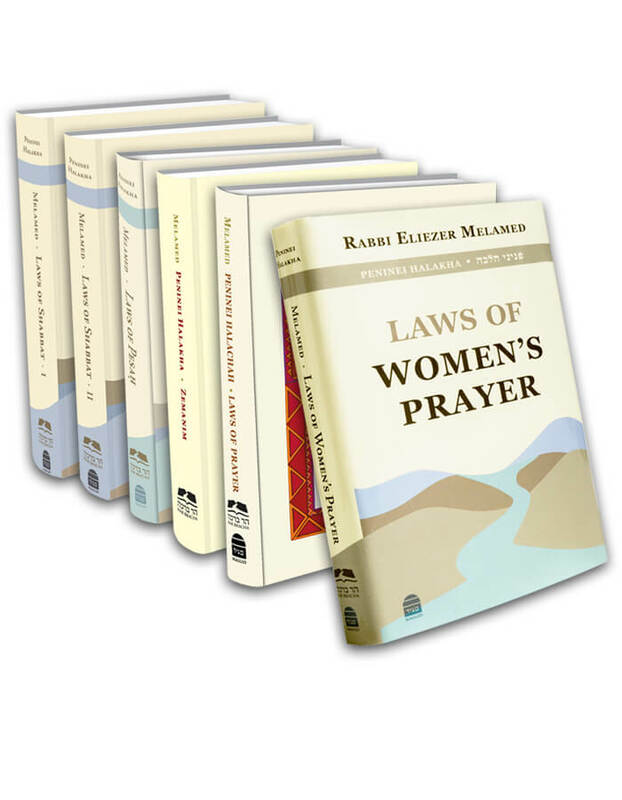 This applies to women as well, and thus a woman may not pray Minĥa after she has lit candles – how can she pray a weekday Minĥa after she has accepted Shabbat? If she wishes to compensate for missing Minĥa, she should pray the Amida twice at Ma’ariv (MB ad loc. 43). The only alternative is to pray Minĥa earlier, while it is still day, and to accept Shabbat afterward. Where Minĥa is prayed after shki’a, one must pray Minĥa earlier on his own so that he will be able to add tosefet Shabbat. For the mitzva of tosefet Shabbat is a Torah law, while praying with a minyan is a rabbinic requirement (SSK 46:5). Several authorities maintain, however, that even after one has accepted Shabbat, he may still pray the weekday Minĥa. They reason that tosefet Shabbat only requires that one not transgress any Torah prohibitions of Shabbat, but does not extend to the realm of prayer; thus, one may still pray the weekday Minĥa. Just as in the service of a mitzva one may do things that are rabbinically prohibited during tosefet Shabbat, so too he may pray the weekday Minĥa then. Only one who accepted Shabbat with the congregation may not pray the weekday Minĥa. Therefore, if one has still not prayed Minĥa and it is very close to shki’a, he should accept Shabbat verbally and then pray the weekday Minĥa (Tzitz Eliezer 13:42; Minĥat Yitzĥak 9:20). Still others maintain that in such a case one must be careful to accept Shabbat only mentally. On the one hand, one may accept Shabbat this way; on the other hand, since it was only in his head, he may still pray the weekday Minĥa (Yabi’a Omer 7:34). The widespread custom is that if shki’a is approaching and one has still not prayed Minĥa, he accepts tosefet Shabbat – whether verbally or mentally – and then prays the weekday Minĥa. Be-di’avad, women too may pray Minĥa after lighting candles. If one knows that the minyan is going to pray Minĥa late, he should preferably fulfill his obligation in conformity with all opinions by praying Minĥa on his own and accepting Shabbat before shki’a. If he is sure that he will be able to accept Shabbat during the repetition of the Amida, it is best that he pray with the minyan and accept tosefet Shabbat during the repetition.
. Following the first opinion, if one comes to shul close to shki’a and knows that if he begins to pray the weekday Minĥa he will not finish his silent Amida before shki’a, he should preferably accept Shabbat and later pray the Amida of Ma’ariv twice. This is the opinion of MB 263:43, SSK, and R. Mazuz. A woman who does not have time to pray Minĥa and then light the candles should light the candles and not pray. If she prays Minĥa regularly, she may pray the Amida of Ma’ariv twice, with the second recitation being compensatory. See Peninei Halakha: Women’s Prayer 13:6. Following the second opinion, if one comes to shul close to shki’a, he should accept tosefet Shabbat and pray the weekday Minĥa. One may pray the weekday Minĥa even after accepting tosefet Shabbat, as tosefet Shabbat only causes melakhot to be prohibited but does not affect prayer. This is the position of Tzitz Eliezer, following Zera Emet and other Aĥaronim. Minĥat Yitzĥak 9:20 agrees and adds another reason: even on Shabbat itself one may pray the weekday prayer, but in order to shorten the service the Sages formulated an abbreviated version. Therefore, when necessary, one may pray the weekday Minĥa even after accepting tosefet Shabbat. Piskei Teshuvot §263 records this approach as that of many Aĥaronim. Some follow the second opinion but maintain that one must accept tosefet Shabbat only mentally but not verbally. In other words, he decides to refrain from melakha from here on, thus fulfilling the mitzva of tosefet Shabbat, but since he has not verbalized this acceptance he may still pray the weekday Minĥa. R. Ovadia Yosef writes this in Yabi’a Omer 7:34, p. 97 and Livyat Ĥen §6; see also Menuĥat Ahava 1:5:6. An additional dispute among the Aĥaronim concerns the questionable status of one who responds with the congregation to the ĥazan’s declaration of “Barkhu.” According to Yeĥaveh Da’at 6:18, one may not respond to Barkhu and still maintain that he has not accepted Shabbat. Thus one who responded may no longer pray the weekday Minĥa. On the other hand, Igrot Moshe OĤ 3:37 maintains that if one thinks to himself that he is not accepting Shabbat, he may respond to Barkhu and still pray the weekday Minĥa afterward; however, based on SA 263:15, he should make sure to pray outside of shul. This entry was posted in 03 - Shabbat Times. Bookmark the permalink.